The T.V. 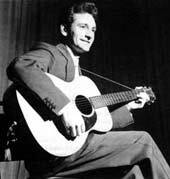 advert which features the new Vauxhall car surfing the waves uses the track Rock Island Line by Lonnie Donegan (see image above). 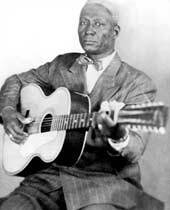 The original recording of this track was by Huddie Leadbetter, aka Leadbelly (see image below). Document Records has an extensive back catalogue of Leadbelly CDs.